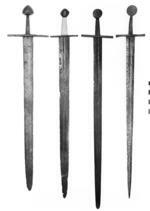 Straight two-edged blade with a broad fuller on each face running from the hilt almost to the point. 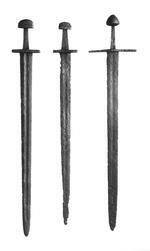 Stout, long, straight quillons of square section; the tang tapers towards the heavy beehive-shaped pommel. 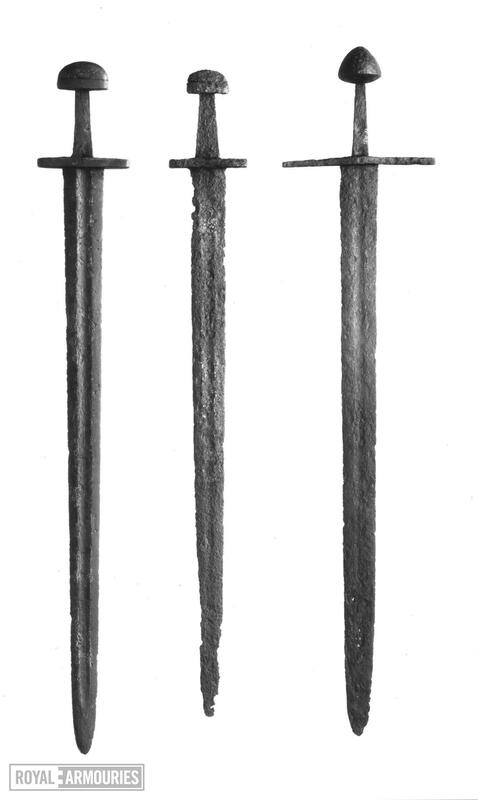 The sword is heavily corroded and is obviously an excavated piece. P. Hammond, Royal Armouries Official Guide, 2nd (rev'd) edn, London, 1993, p. 18, top right (col. ill. - ('about 1100'). [R] E Oakeshott, The archaeology of weapons, reprint of 1st edn of 1960 [with additions including plates], Boydell Press, Woodbridge, 1994, Pl. 34 (4th p;ate back from p. 185) - c. 1050-1150'. 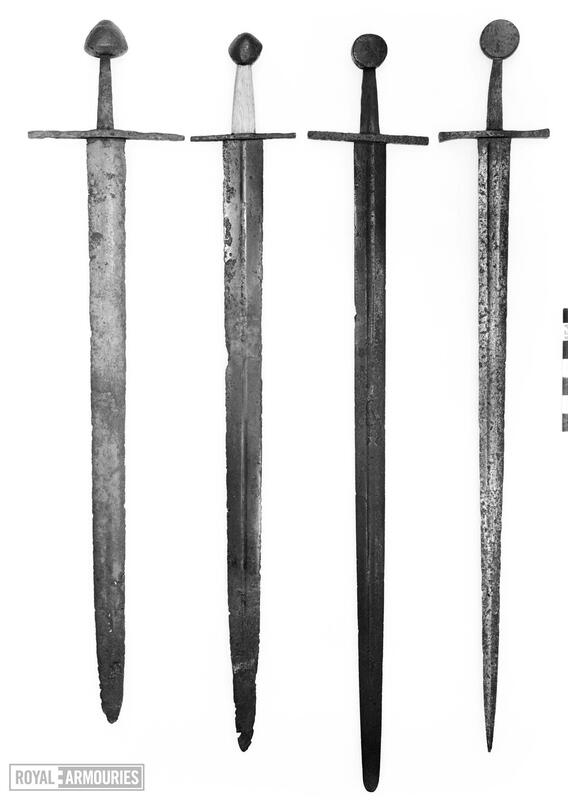 A very similar sword in the Bernishchen Historiscen Museum was found during local excavtions, prompting the suggestion that this weapon might be Swiss. A note in the typed inventory says that further details of the acquisition (and provenance?) are contained in a letter of 26 April 1961 from J G M[ann] W R[eid]. (I could find no inventory file for this object at 14/11/01; PJL).